Nintendo just announced the 3DS, the successor of the popular portable console Nintendo DS. 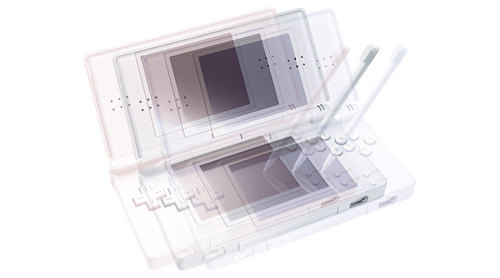 The Nintendo 3DS will integrate completely new technology – 3D screen, which doesn’t even need 3D glasses. The new Nintendo will rely on completely new hardware, but there is no word on any specifics except the screen. Nintendo claims their new display will be 3D. Users should be able to enjoy “3D effects without the need for any special glasses”. That’s new and I’m eager to see how they plan to do it but for now prefer not to set my expectations too high. Nintendo stated they need to study further the new 3D effects due to some “health issues”. Whatever that means, I certainly hope it won’t turn out to be as bad as it sounds. Rumor has it that the screen resolution will go all the way up to 720p and there will most probably be some motions sensors on board. Speculation also mention a built-in 3G modem, but that sounds very unlikely to me. The new Nintendo 3DS will be launched within a year (April 2010 – March 2011), which really isn’t much of a helpful information. One thing is for sure – there will be complete backwards compatibility with the old DS games – so that’s a relief.